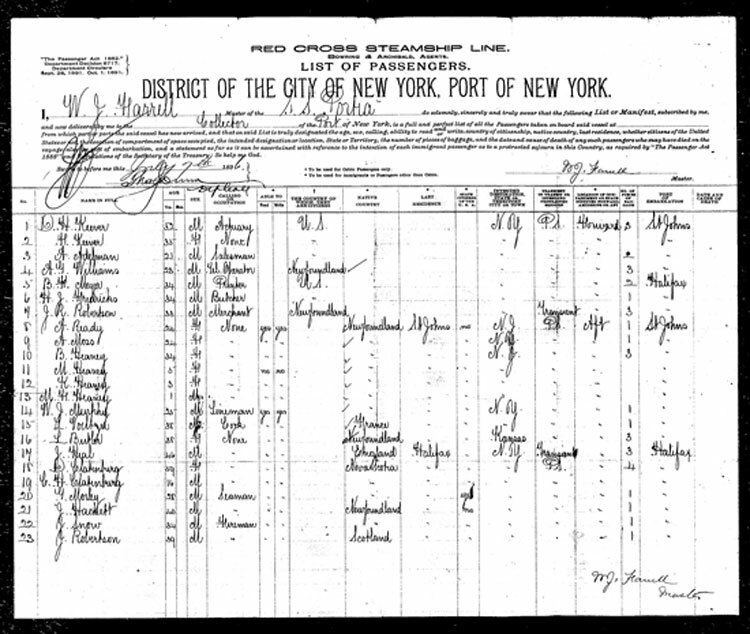 This data was copied from the original manifest on the Ellis Island site. When looking for Heaney's from Newfoundland, the manifest that displays was in error. By using the "forward" option while viewing the manifest, I found this one containing the individuals sought, approximately 700 pages later. I hope this helps others.